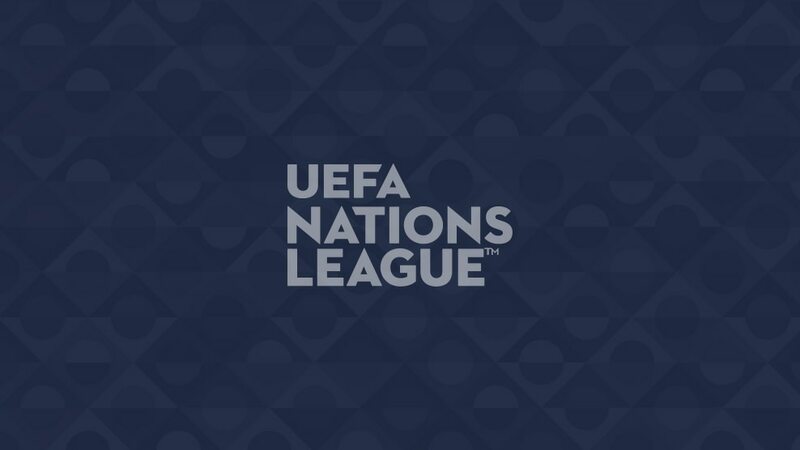 FIFA World Cup winners France visit their predecessors Germany on Thursday to kick off the new UEFA Nations League. Here's what you can look forward to from the first six days of action. The opening League A game is as big as they come, France playing their first match as newly minted world champions in Munich against the side they succeeded. Germany, led by Europe's longest-serving national coach in Joachim Löw, will be keen to make a statement after the premature end to their World Cup title defence. There will be no shortage of familiar faces as Ryan Giggs oversees his first competitive game as Wales boss – former Manchester United team-mate Roy Keane is on the opposite bench as an assistant, for starters. The teams also need no introductions: Ireland pipped UEFA EURO 2016 semi-finalists Wales to a World Cup play-off spot. Group A3 could, in effect, be a play-off to host next summer's four-team finals since these two countries and Portugal comprise the three interested bidders. Under new coach Roberto Mancini, Italy want to make up for their World Cup absence while Poland have a point to prove after being ousted in the World Cup group stage with a game to spare. For Russia, this is the chance to keep up the momentum from their stirring run to the World Cup quarter-finals. They certainly have history on their side: they haven't lost to Turkey in four matches since the end of the Soviet Union (all friendlies, most recently a home 1-1 draw in June). Mircea Lucescu's Turkey are five games unbeaten. Iceland have never beaten Switzerland, but all six previous fixtures happened before the Nordic nation became the smallest-ever EURO or World Cup finals participant. Heimir Hallgrímsson, the coach and part-time dentist who helped put Iceland on the football map, has gone. Swede Erik Hamrén hopes to pick up where his predecessor left off. Gareth Southgate leads out his team at Wembley as unlikely national heroes after their surprise run to the World Cup semis. Spain's summer was less memorable, Julen Lopetegui's eve-of-finals departure precipitating a campaign curtailed by Russia in the last 16. Luis Enrique is now at the helm of a side that haven't lost inside 120 minutes for over two years. Didier Deschamps' men play their first game in front of their home fans since winning the World Cup and there is sure to be a carnival atmosphere in Paris. The Dutch will not be in celebratory mood, though, having failed to qualify for their last two major tournaments and will hope to make a statement of intent going forwards. Andriy Shevchenko was unlucky to start international management by being pitted in a tough World Cup qualifying group containing Croatia, Iceland and Turkey, but his side went unbeaten in five friendlies thereafter. The first of those was a 2-1 win against a Slovakia side hoping to rediscover the form that propelled them to the last 16 at UEFA EURO 2016. All eyes will be on Cristiano Ronaldo with the Portugal talisman certain to come face to face with some of his new Juventus team-mates or Serie A adversaries. A reminder of his powers would not go amiss given Ronaldo has not scored in his home country for more than a year, though Italy have won ten of the last 11 meetings between these nations. Sweden will be on a high after reaching the World Cup quarter-finals, but the visitors may not be the ideal opponents for their first match in this competition. Turkey beat them 2-1 in friendlies in 2014 and 2016, while Mircea Lucescu's charges were also unbeaten in five matches ahead of their opening Nations League game on Friday. The Red Devils play their first competitive game since finishing third at the World Cup, where they won six of their seven matches. Iceland, by contrast, are going through a testing spell, with a victory against Indonesia their only success in ten games ahead of their Nations League opener in Switzerland three days previously. Spain's first home game under Luis Enrique gives them the chance to avenge a 2-1 defeat by their opponents at UEFA EURO 2016. Croatia's profile has risen even further since then following a run to the World Cup final that was as tense as it was unexpected. One notable omen for Spain – the last time they beat Croatia, at UEFA EURO 2012, they went on to lift the trophy.